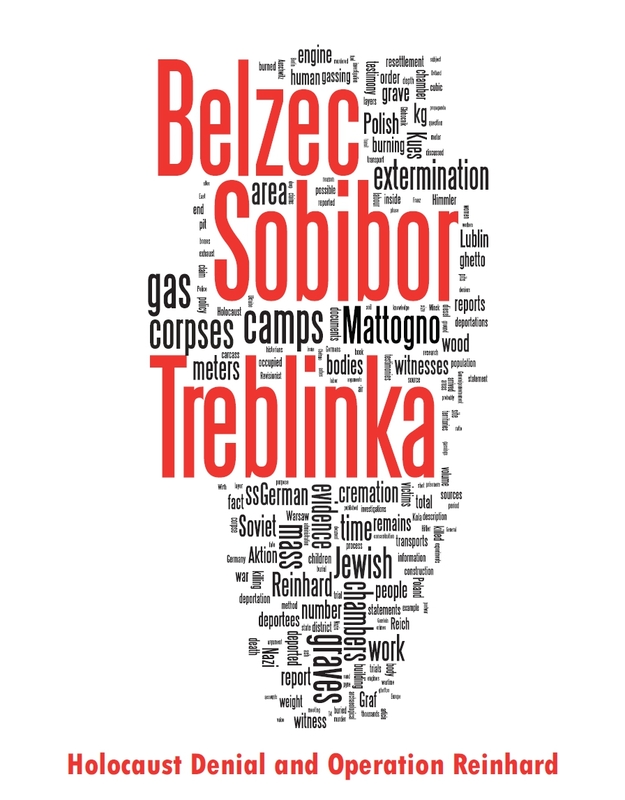 The seventh blog of this series addresses the events that led to a temporary suspension of the extermination of Lithuania’s Jews after the massacres organized by Einsatzkommando 3 in 1941, and the fate of this Jewish community’s remainders. Like in the previous blogs of this series, the information presented in this blog is mostly based on German historian Wolfram Wette’s biography of Karl Jäger (Wolfram Wette, Karl Jäger. Mörder der litauischen Juden, S. Fischer Verlag, Frankfurt am Main 2011, hereinafter "Wette, Jäger"). From the Leningrad front transports with Russian prisoners are arriving. The wagons are full to bursting, many die along the way, many are close to death when they arrive. Hundreds are shot right at the railway embankment, as the Germans make short shrift of all who are week. A railway employee saw mounds of corpses of Soviet prisoners at the Kaunas station with his own eyes. According to recent historical research a total of about 170,000 Soviet prisoners of war died on the territory of Lithuania, mainly in the autumn and winter of 1941 (Wette, Jäger, p. 131). The destruction of the Soviet prisoners of war was the second largest crime committed by Nazi Germany on Lithuanian territory, after the genocide of the Jews. The less Soviet prisoners of war were available as workers, the more the Wehrmacht requisitioned Jewish workers from the Kaunas city commissariat. Thus the extermination activity of Einsatzkommando 3 was slowed down. As was already mentioned, there were selections of able-bodied Jews during the "Big Action" on 29 October 1941, among others. The German civilian administration issued so-called Jordan passes – after the city commissar by that name – to those Jews who were to be used as forced laborers. To the Jews these were "life passes", as they meant a chance to survive for those sent to the "good site" during selections. Like the Soviet prisoners of war before them, the able-bodied Jews had to work on the Aleksotas airport, from early morning until night, harassed and often beaten by the guards. However, it seems that they were not treated quite as badly as the remaining Soviet POWs, who according to a Jewish worker were killed in their hundreds every day, "weak as flies" and receiving even lower rations than the Jewish forced laborers (Wette, Jäger, p. 132). In May 1942 SS-Obergruppenführer Heinrich Müller, head of the Gestapo, saw the need of calling Jäger’s attention, in a secret radio message, to Himmler’s general instruction whereby "able-bodied Jews and Jewesses aged 16 to 32 years are until further notice to be exempted from special measures" (Wette, Jäger, p. 133, citing Funkspruch Müller an KdS Litauen, Standartenführer Jäger, dd. 18.5.1942, in: Peter Klein (editor) Die Einsatzgruppen in der besetzten Sowjetunion 1941/42. Die Tätigkeits- und Lageberichte des Chefs der Sicherheitspolizei und des SD, Berlin 1997, pp. 410f., Document 18; my translation). Jäger decided that the male "working Jews" were to be sterilized "in order to prevent their reproduction". Jewesses who got pregnant were to be liquidated. Jäger issued a corresponding order on 24 July 1942. It has not been established whether and to what extent this order was carried out. However, the physician SS-Hauptsturmführer Dr. Karl Böhmchen is known to have acted as a "fanatical executor" of Jäger’s order in performing forced abortions (Wette, Jäger, pp. 139). In Siauliai the Jewish Council, which was aware of Jäger’s order, established in March 1943 that there were twenty pregnant Jewesses in the ghetto. It decided to induce the women by pressure and persuasion into performing abortions. In the case of a woman in her eighth month of pregnancy the Council decided that a doctor was to induce a premature birth and a nurse was to kill the child (Wette, Jäger, pp. 139-140). The relationship between the German civilian administration of Kaunas and Jäger in the years 1942 and 1943 was marked by a conflict of interests. Whereas Jäger wanted to continue exterminating the Jews, the civilian administration thought in terms of war economy and wanted to exploit the Jews’ labor force. The latter interest prevailed in the Kaunas ghetto’s relatively quiet phase following the first murder wave in December 1941. In the summer of 1943 between 15,000 and 17,000 Jews were living in the Kaunas ghetto, of whom about 10,000 were working at 140 sites in and around Kaunas. In the summer and autumn of 1943 the war economy department of the Reich Security Main Office (Reichssicherheitshauptamt) went about to put an end to the ghetto’s civilian administration and convert the ghetto into a concentration camp under SS administration. A corresponding order concerning the whole Reichskommissariat Ostland (Reich Commissariat Eastern Territories) had been issued by Himmler on 21 June 1943. On 15 September 1943 the Kaunas ghetto including its production sites was taken over by the SS and re-designated a concentration camp. Jäger was involved only in the initial phase of this transformation process, because on 2 August 1943 he was relieved from his duties as Commander of Security Police. His successor, Schmitz, supervised the exhumation and cremation of the corpses at Fort IX beginning in September 1943. On Christmas Day 1943 members of the working detachment managed to flee from the fort and reported to the Jews in the concentration camp that they had cremated 45,000 corpses from 15 mass graves (Wette, Jäger, p. 141). The surviving Jews of Kaunas hoped that their usefulness for the war effort would guarantee their survival. However, a mass execution on 26 October 1943, which claimed 2,758 lives, showed how delusory this hope was. In the same month about 2,800 Kaunas Jews were deported to work camps in Estonia (Wette, Jäger, pp. 141-42). One of these camps was the Klooga labor camp, where about 2,000 forced laborers were shot in September 1944. The remaining inhabitants of the Kaunas ghetto included the families of the working Jews. On 27 and 28 March 1944 the Germans undertook a particularly hideous operation. About 1,000 children and 300 elderly people were dragged out of their apartments and transported to the Auschwitz and Majdanek concentration camps, where they were killed. Most of the children’s parents were on forced labor assignments outside the ghetto, and when they returned in the evening they found that their children had been taken away (Wette, Jäger, pp. 142-143). Between 7 and 12 July 1944, the concentration camp was dissolved. Many of the Jews still alive were deported to Auschwitz, to Stutthof or to concentration camps in Germany. Of the about 2,000 Jews who had hidden inside the camp and sometimes put up heavy resistance, many died when the SS burned down the concentration camp area and blew up the buildings (Wette, Jäger, p. 144). A French colonel who entered Kovno with the Red Army in August 1944 gave an account describing "heaps of corpses of men, women, and children in the streets and in ruined cellars". A photograph taken on this occasion is addressed in the blog Mattogno on the Mass Graves at Ponary (Part 3) (photo number 14). 8,000 of the 10,000 surviving Jews were taken to Rossa Square. There, a selection took place. Those able to work were sent to labor camps, men to Estonia and women to Latvia. Some were eventually transferred to the Stutthof concentration camp. 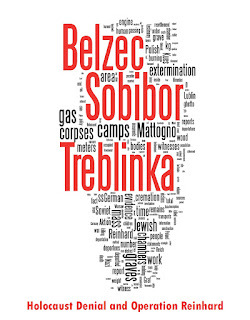 Between 4,300 and 5,000 elderly women and children were sent to Sobibor. None survived. Several hundred children and elderly men and women were sent to Ponary. At the end of September 1943 Einsatzkommando 4a under Paul Blobel went about trying to destroy the evidence of the mass killings at Ponary within the scope of Aktion 1005. Workers Aktion in Keilis and HKP 562. Immediately after the retreat of the Wehrmacht from Vilnius and the abandonment by them of the HKP workshops on 2 July 1944 the SS took 1,800 of the prisoners to Ponary and shot them. A small number of the workers remained in hiding until the Red Army entered Vilnius on 13 July 1944. The ghetto at Siauliai (Shavli, Schaulen), also converted into a concentration camp, was liquidated in July 1944. The surviving inmates were deported to other concentration camps. Lithuania, Postwar, A corpse in a mass grave. Vilijampole, Lithuania, Burnt bodies of murder victims in the ghetto, 18/12/1944. Kovno, Lithuania, Bodies of Jews burned alive in the ghetto. Kovno, Lithuania, Jewish children's corpses in the ghetto 30/08/1944. 1. Removal of the broken links to photographs from the Yad Vashem archives in Part 3 of this series has rendered the note of 13.03.2013 irrelevant. 2. Broken links in this part 7 of the series were replaced by working links to the same sources or sources about the same subject. 3. A precision regarding the number of surviving Jews in 1941 Kaunas according to the Jäger Report (not 15,000 "Work Jews" but 15,000 Jews including both "Work Jews" and their families) was introduced.